If you’ve ever experienced a frustrating call to customer service, you may already understand how empathy is a preferred customer service trait. Generally, when making a call to a business, a caller is looking for assistance and hopes someone will listen to them. An empathetic ear can make a difference in how the call is handled and whether the caller continues to do business with your company. Empathy, however, is a skill that must be practiced and honed. Here are some tips on how and why empathy is good for your business. Not every answering service is the same. There are, however, certain things that a customer should look for, at a minimum, when hiring an answering service. This post will be a guide to questions and answers to consider. When a client hires A Better Answer, we take on their customer base as our own. This month's call demonstrates that fact. 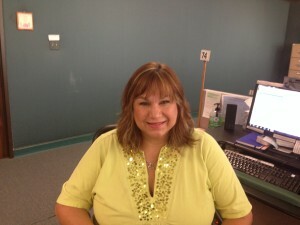 July’s call was taken by Nina, our July call handling hero®. Every month we honor a call handling hero® for a job well done. When we get feedback from the client, we’re even more thrilled. June’s calls include 2 calls for Martha, our call handling hero®, and one call for Kyle, our June runner up.